Wedding bells are ringing for the Ambanis! We were only just done reeling from Akash Ambani’s engagement news and now his twin Isha Ambani too is set to tie the knot. 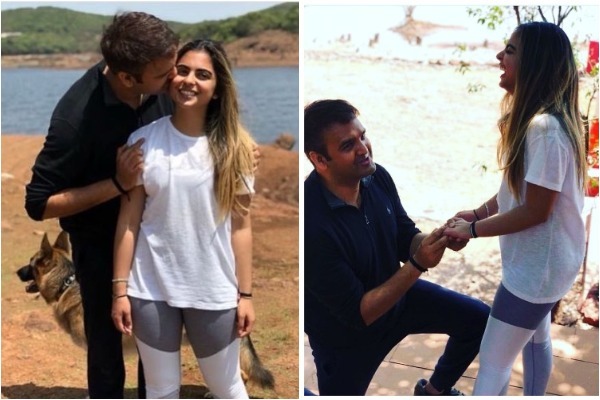 According to multiple reports, business tycoon Ajay Piramal’s son Anand Piramal proposed to Isha Ambani at a temple in Mahabaleshwar. Despite the happy news, trolls did not spare a second in attacking the Ambanis, Piramals and specifically Isha. As per reports, the pre-engagement event took place at the Piramal farmhouse in Mahabaleshwar where family members and close friends of both the families were present. Post the temple proposal, the engaged couple joined their parents Mukesh and Nita Ambani, Ajay and Swati Piramal, grandparents Kokilaben Ambani and Purnimaben Dalal and siblings Akash Ambani, Anant Ambani, Anand’s sister Nandini along with her husband Peter De Young and children Anya and Dev for the celebrations. 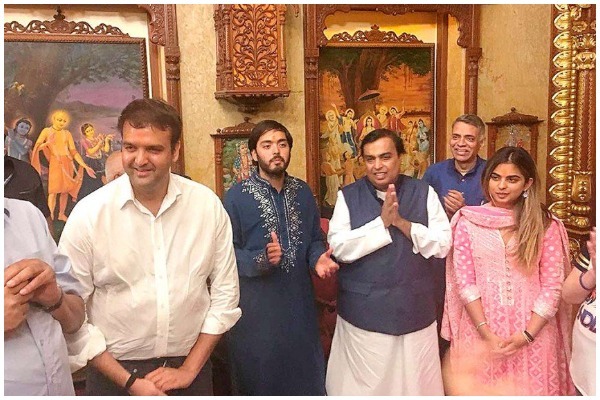 Post their return to Mumbai, the newly engaged Isha, and Anand along with Mukesh Ambani, Nita Ambani, and Anant Ambani visited Juhu’s Iskcon temple and Prabhadevi’s Shree Siddhivinayak Ganapati Temple to seek blessings. However even the blessings from the Almighty could not save the families and the happy couple from trolling. As soon as the news of Isha and Anand’s engagement starting circulating, all hell broke loose. Comments varying from the reasons of their engagements to Isha deserving better than an ‘uncle’ like Anand started making rounds. Some trolls called the couple’s engagement a business agreement. Whereas some called it a ‘marriage of two bank accounts rather than two individuals’. Also attacked Isha for choosing to marry an “overaged” and “ugly” person, when being beautiful and rich, she could have got much better partner. Inside Photos: Ranbir Kapoor, Hrithik Roshan, Sonakshi Sinha And Others Party At Ambani’s Star Studded Bash! Isn’t it uncalled for to call somebody an ‘uncle’ based on how they look or call a marriage an agreement just because both the families are beyond rich? Let others live, shall we? 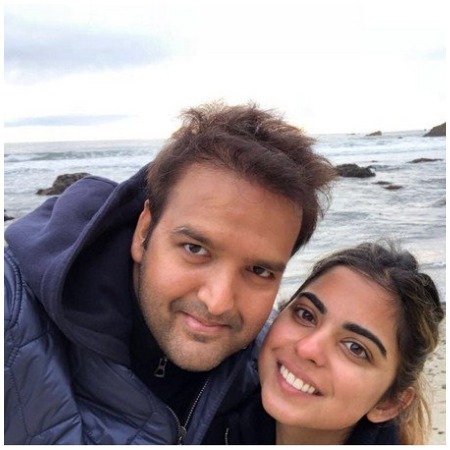 Currently, no date or venue celebrating Isha Ambani and Anand Piramal’s union has been announced. 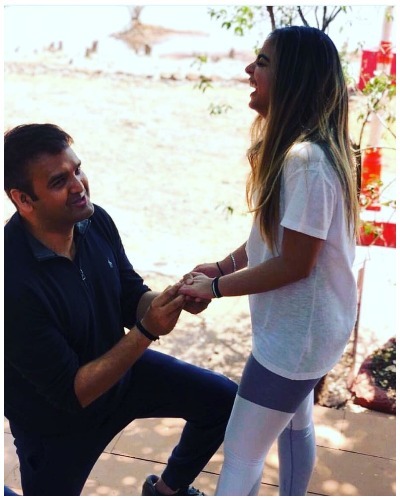 However, according to rumours both the siblings are set to get married in December this year.Isha’s twin brother Akash Ambani got engaged to diamond merchant Russel Mehta’s daughter Shloka Mehta earlier this March. Stay tuned we will bring you all the starry inside pics of Isha Ambani and Anand Piramal’s engagement.